In Italy, this weekend is the 32nd matchday on the program and already with a point win at SPAL Ferrara Juventus can Fix the championship title on Saturday afternoon also mathematically. Nevertheless, the season finish in Italy is extremely exciting. Five teams are fighting for the last Champions League and in the race for the league whereabouts four teams are within just four points. Thanks to recent strong performances, FC Bologna have been able to distance themselves from the relegation zone and would like to continue this positive trend in Tuscany on Sunday afternoon. Bologna makes a guest appearance at the formidable Fiorentina! In the home side, it comes to the comeback of coach Vincenzo Montella. This week Stefano Pioli resigned from his post and a little later Montella could be presented for the second time (2012-2015) as head coach in Tuscany. Despite the recent weak results, the Fiorentina vs Bologna is according to odds (1.90) acted as a relatively clear favorite. The game starts on Sunday afternoon at 15 o’clock. The last victory was celebrated by Fiorentina in Serie A on 17 February. After just under eight weeks without a win (four draws and three defeats) Stefano Pioli stepped back on Tuesday night. Decisive was the 0: 1 home defeat last weekend against relegation candidate Frosinone. After the seventh winless league game in series Pioli was questioned by the club’s leadership. Pioli interpreted this as a breach of trust and saw no basis for further cooperation. Surprisingly, it was hardly the end of the day for the management, because only a few hours later, the successor could be presented. An old acquaintance returns to the Artemio Franchi Stadium with Vinceno Montella. The former top striker takes over the task for the second time with the Viola from Florence. Already from 2012 to 2015 he was active in the club and collected in his first era in 153 games an average of 1.80 points. Montella then wanted a “better” club, but his coaching career was limited in recent years as desired. Both at Sampdoria and AC Milan and in Seville, he was not long in office. Back at the old place of work, he hopes to build on the good record. The last games of the season will be a kind of preparation for the upcoming season for the viola. With 39 points from 31 league games, the club ranks in tenth place in the table and has no more realistic ambitions towards Europa League. The big goal of the season will definitely be missed in the face of twelve points behind fifth place. The way out of the crisis should be reached as quickly as possible so that a positive feeling and euphoria can again arise. That often only nuances are missing, shows a look at the last results. In 2019, the viola lost only three of the twelve league games, but there were only three victories. Due to the many division of points, the team is on the spot. Montella’s new momentum could definitely bring benefits. All players except Edimilson Fernandes and Marko Pjaca are available. For a debut victory of Montella in the game between the Fiorentina and Bologna are for a tip, the odds at a 1.90! In the Artemio Franchi Stadium, Florence have scored in 12 of their 15 games (five wins, seven draws). The dead say live longer! Under Filippo Inzaghi FC Bologna played an inferior season and was already traded in many places as a fixed loser. At the end of January “Pippo” Inzaghi was released after 24 competitive matches and a cut of 0.83 points per game. His successor was Sinisa Mihajlovic, a trainer who has worked in Bologna (2008-2009). The previous conclusion is absolutely positive. In the last five league games Bologna collected twelve out of 15 possible points and was thus able to catapult out of the relegation zone. With 30 points Bologna is currently ranked 17th in the Serie A and would have the league whereabouts in the bag. The advantage over FC Empoli is currently only two points. The last few weeks are definitely a cause for hope and the momentum clearly speaks for FC Bologna. 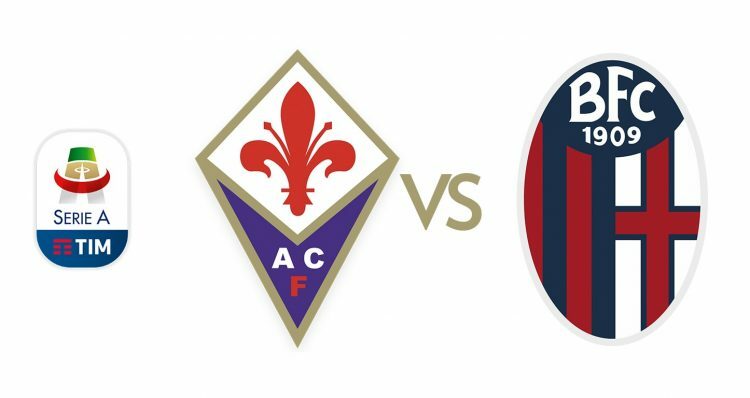 In view of these statistics, a prediction for a point win of the guests is quite permissible even in the duel between the Fiorentina and Bologna. However, a look at the away balance of the relegation candidate speaks against these bets. Despite the good form of the FC Bologna has been able to celebrate this season only two (!) Away wins. In nine of the 16 away games the journey home had to be started without counting. Inferior was the last appearance on a third place. For the first time in almost 90 years, a Serie A team suffered four goals in the first quarter of an hour. Atalanta Bergamo lost the game after just a few minutes. Finally, only a little result cosmetics was operated and the honorable goal to 1: 4 succeeded. An interesting option at Bologna games in recent weeks, the bets on the over 2.5. In the last six games, the tip on the over 2.5 was always the right decision. For at least three goals in the match between Fiorentina and Bologna, odds just under 2.00 are offered. The two cities are just under 100 kilometers apart, but neither the Viola from Florence nor Bologna feel really comfortable in the stadium of their respective competitors. Only in 30 of the 134 duels between the two teams the guest celebrated a victory. The Fiorentina have a strong 37-16-13 record in Serie A alone in 66 home games. Among other things, the last six home games in Serie A against FC Bologna were victorious! In the first leg of the current season, the two teams separated at the end of November, however, scoreless. The momentum in this game clearly speaks to the guests from the Emilia-Romagna region. FC Bologna struggled to get off to a good start thanks to good performances, while Fiorentina is ranked in the no-man’s-land after seven games without a win. Nevertheless, the Fiorentina vs Bologna is according to odds clear favorite and it is not even offered the double use. ⭐️ Comeback on the bench – Vincenzo Montella is again head coach of the viola! ⭐️ The last six home games have won the Fiorentina against Bologna! ⭐️ In the last away match, Bologna were 0: 4 behind after 15 minutes! This clear favorite role is not necessarily surprising. Finally, the Viola has won the last six home games against Bologna. The guests are in spite of good form a welcome guest, because the away weakness is blatant. In addition, for some players of the Fiorentina, the change of coach could be liberating, the quality is definitely much higher than the last performance suggests. New brooms are good at sweeping and home win is the most likely option. Between Fiorentina and Bologna, six units are set on the tip of Montella’s debut victory!